We buy plated pins and circuit board connectors and pay you for their gold plating. See what other computer scrap has value and what we buy. 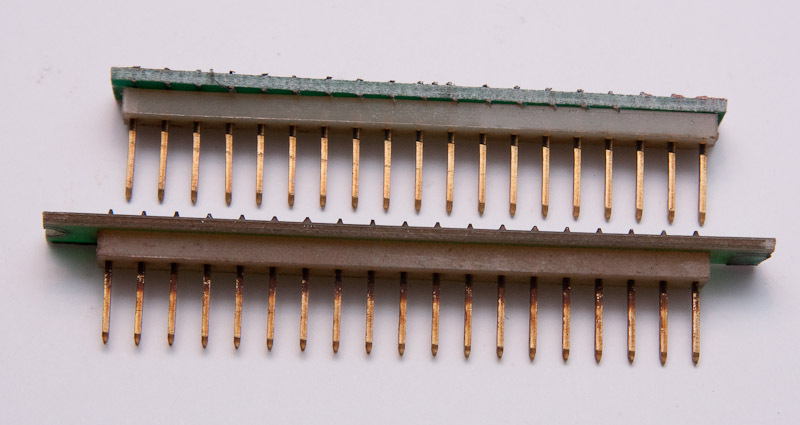 Similar to fingers, plated pins are the bare connectors that are used as computer component interfaces. 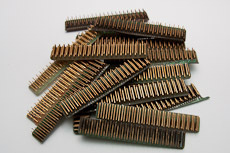 Plated pins are one of the highest density sources of value in E-Scrap. Common sources of pins are manufacturing defects and trimmed circuit boards. 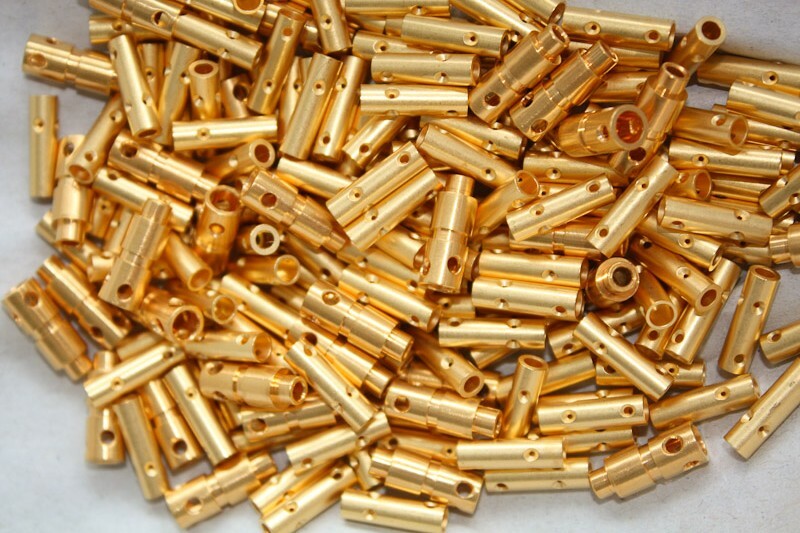 Gold plating is used on pins because of gold's superior physical properties for external connectors. We pay you based on the gold content found on the pins. 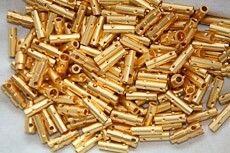 The thickness of the gold varies from connector to connector (15-45 microns is typical). 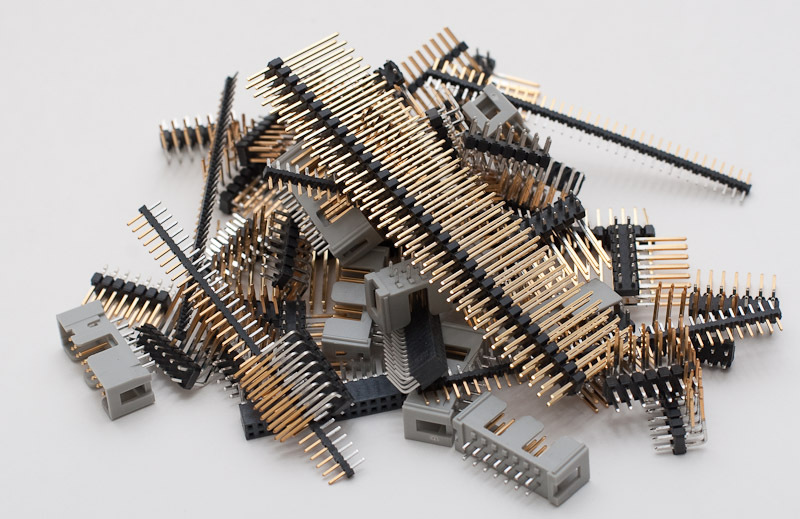 As with all E-Scrap, pins from older boards, or from high performance applications (such as from military, enterprise or telecommunications equiptment) are typically coated with more gold. For unusual or super heavy loads, sample analysis can be used.